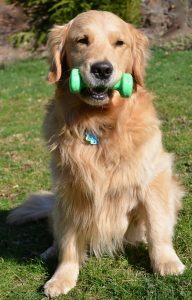 Some new dog owners believe that their dog will provide their own exercise. In some cases this is true but only if they are given the opportunity to do so. This means being able to provide them with plenty of safe space to do so. A good big backyard is ideal for allowing them to run. Generally, though an exercise routine has to be put in place for the dog. This is to ensure they are getting the proper exercise on a regular basis. Dogs will only entertain themselves for so long and then will depend on you to do the rest. Fetching is one common and very easy exercise that almost any dog owner can provide for their dog. Basically, the dog owner just needs to throw a toy such as a ball then convince the dog to retrieve it and bring it back. Walking is another important exercise. It ensures that the dog is getting a workout at a steady pace. It also teaches the dog some control as you as the walker is in command. An added bonus is that it may help teach the dog some social skills as they meet other dogs and people.